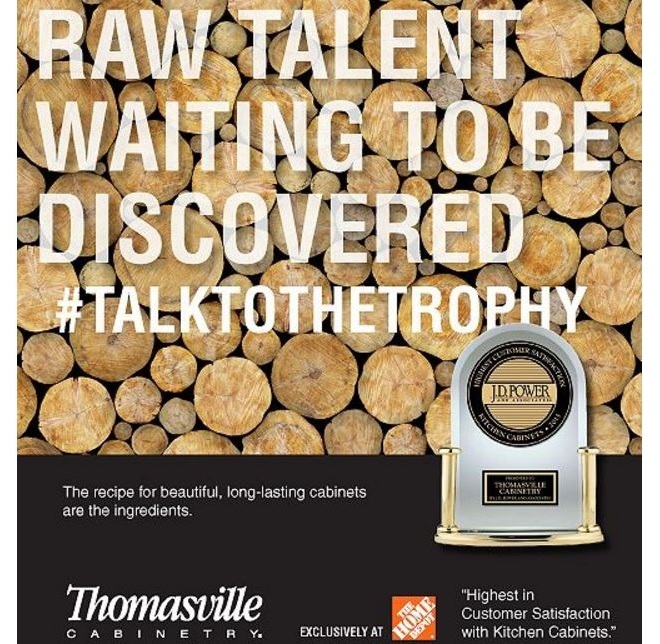 WESTLAKE VILLAGE, Calif. - MasterBrand's Thomasville kitchen cabinets beat out IKEA for the top spot in J.D. Power's 2016 customer satisfaction survey, with strong ranking for order and delivery. IKEA had held the top spot since 2014. “Customer satisfaction increases significantly when the salesperson explains the ordering and delivery process as thoroughly as possible," says Greg Truex, senior director of the at-home practice at J.D. Power. 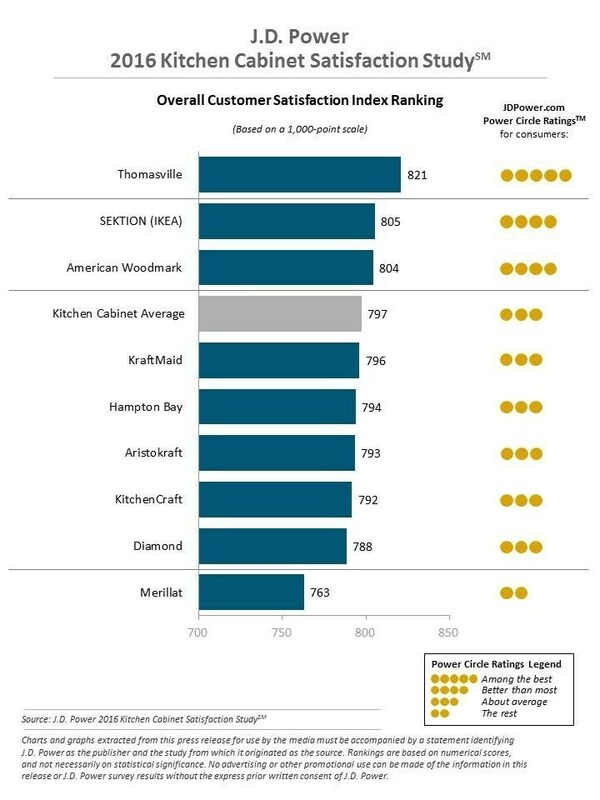 In it's analysis, JD Power noted Thomasville (821) ranked highest in customer satisfaction among kitchen cabinet brands for the second time since 2013, and that it performs particularly well in four of the five factors: ordering and delivery, operational performance, design features and warranty. Thomasville also scores significantly higher than the study average in the ordering and delivery factor (843 vs. 819, respectively), driven by strong attribute ratings for condition of products at delivery and timeliness of delivery. Thomasville’s ordering and delivery score improves by 6 points from 2015. 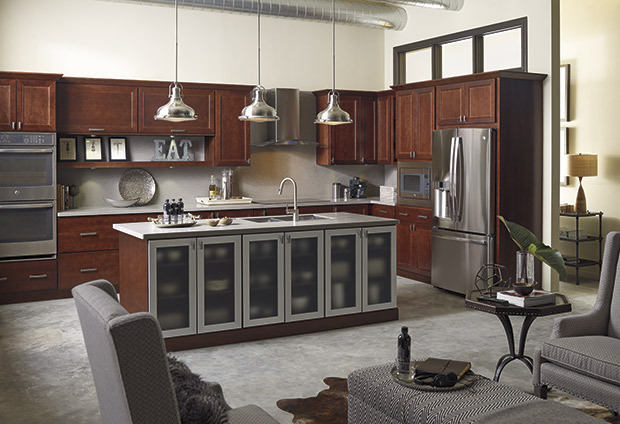 Sektion, IKEA's brand, ranks second highest at 805 among kitchen cabinet brands. 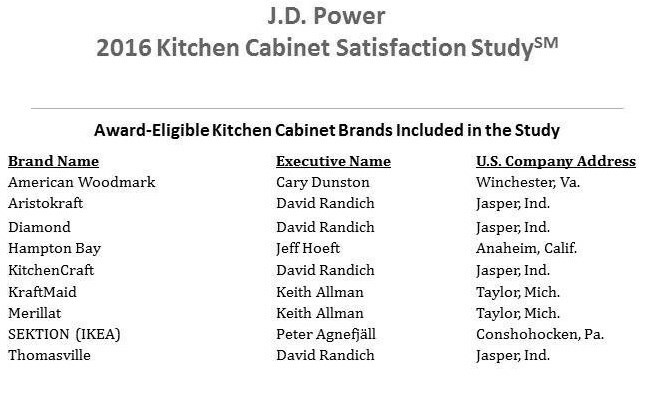 Overall, customer satisfaction with kitchen cabinet brands is 797, JD Power says, up from 794 in 2015. Ordering and delivery is the most important factor driving overall satisfaction. Satisfaction is significantly higher among customers whose salesperson explained the ordering process than among those who did not receive an explanation (820 vs. 754, respectively). Additionally, satisfaction is significantly higher among customers whose kitchen cabinets were delivered as ordered than among those whose delivery was not received as ordered (814 vs. 714, respectively). Further, satisfaction is significantly higher among those whose kitchen cabinets were delivered on the date promised than among customers whose cabinets were not delivered on the promised date (815 vs. 714, respectively). Among delighted customers (overall satisfaction scores of 901 and above), 69% say they “definitely will” repurchase the brand, compared with the study average of 32%. 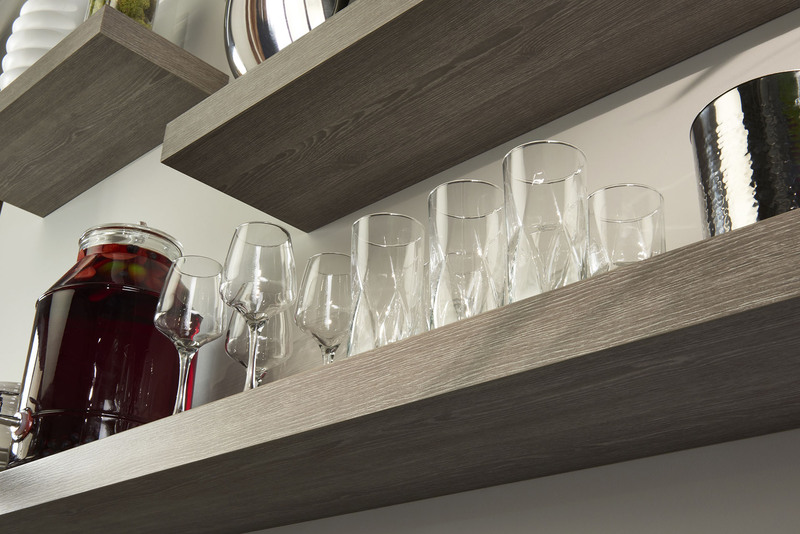 Additionally, 76% of delighted kitchen cabinet customers say they “definitely will” recommend the brand to others, compared with the study average of 38%. 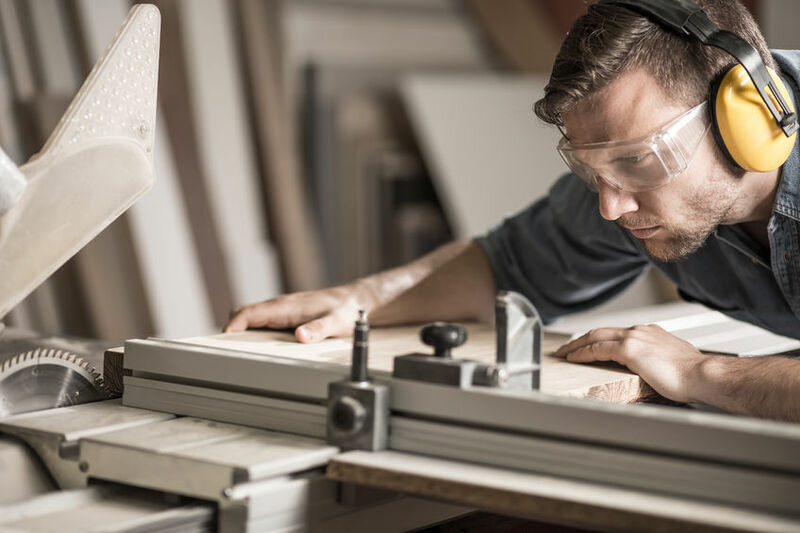 More than one-half (51%) of purchases are for full kitchen remodels, compared with 39% for a partial remodel. Two-thirds (66%) of the study’s respondents are first-time kitchen cabinet buyers. For the remaining 34% of respondents, it has been nine years, on average, since their last purchase.